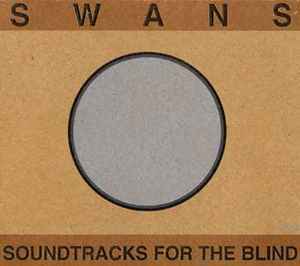 As the liner notes proclaim, this was intended to be "[...] the final Swans studio album". First press run copies for both the US and European markets were housed in a three panel, rough card stock digipak with embossed front cover. The album has later seen consecutive reissues in jewel case format. A boxed vinyl pressing was released on June 20th 2018. A second, less elaborate, pressing has been announced for later the same year. if anyone would be looking to sell this please contact me ! >,< ! This is the best sounding vinyl I've ever heard. Absolutely no surface noise and the remastering is just beautiful. The packaging is also stellar and incredibly sturdy. I would definitely recommend picking this up before they're all gone. The greatest record ever. Period. This one kicked me in the gut from the first time I heard it. 2.5 hours and not a wasted moment. I used to think "Volcano" was a bit awkwardly situated, but it works for me now. The power and emotion in this album is astounding. The ultimate "collage" album. Unmissable. if i recall correctly wasn't there gonna be a gatefold LP edition? The original recording of this album is digital. I bought this vinyl reissue just because this album is pure gold and I wanted it in my collection. I didn't expect a big revelation in sound qualilty compared to the original CD, which always sounded good for my taste. Nevertheless, when listening to the vibraphone and the waves of noisy guitars on "Helpless child" and "The sound" I felt totally submerged in the beauty and strength of the sound like never before. They did a great job with the remastering. Fantastic release, everything I wished for in a vinyl release of this behemoth of an album. Just one complaint, though, is the fact that the download code is a sticker glued on the 4th disc sleeve. Great pressing of a great album. No issues with sound whatsoever, and the packaging is stellar - quite a sturdy box, and each record has both a normal sleeve and an interior one. Poster is pretty cool, and the lyric insert is actually great. Pick it up if you can. Anyone have any proof that the new CDs and FLACs are the remaster? I heard a rumor that only the vinyl was the remaster and the rest were reissues. Much appreciated! I don’t have a CD copy to compare this to, but I do have the FLAC files of a CD, and this long overdue vinyl reissue is everything it could’ve been and more. I was worried with the lore surrounding the masters, but all my fears have been squashed. Big when it needs to be, silent at the quiet parts. Everything represented flawlessly. Get this now before it’s another $400 box set you’ll never have the scratch to throw at.